She emailed 23andMe customers after the announcement, including a quick link to opt out of the research. 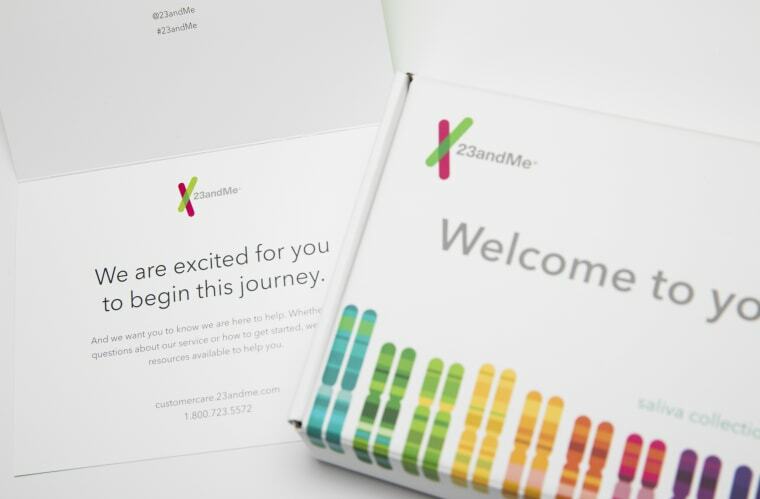 "Are they going to offer rebates to people who opt in so their customers aren’t paying for the privilege of 23andMe working with a for-profit company in a for-profit research project?" he asked. "It's one thing for NIH (the National institutes of Health) to ask people to donate their genome sequences for the higher good," Pitts told NBC News. "But when two for-profit companies enter into an agreement where the jewel in the crown is your gene sequence and you are actually paying for the privilege of participating, I think that's upside-down." “The over 5 million customers that 23andMe has gained access to is really many larger ... 10 times larger, than some of the other databases out there,” he added. 23andMe has been doing some of its own drug development and will now share that information with Glaxo under the agreement.